Why aren’t we all driving electric vehicles? Aunt Edna is hearing a lot about “zero-emission” vehicles lately and wants to know why many people still choose to drive gasoline-powered cars. She also asks you about Chevron’s take on these vehicles and their impact on reducing greenhouse gas (GHG) emissions. Here’s how you can explain EVs. Chevron supports research and development of affordable, reliable and ever-cleaner vehicles and fuels that meet consumer needs. Since EVs don’t give off tailpipe emissions and make less noise than cars with internal-combustion engines, they may be great for use in urban areas. It’s important to understand that all vehicles – including EVs – have an environmental footprint. 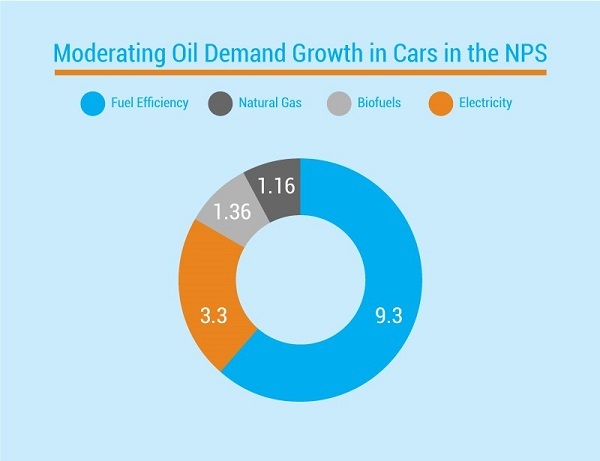 Increasing fuel efficiency in the global car fleet is expected to make a bigger impact than EVs on curbing oil demand by 2040. Are zero-emission vehicles really emission free? While EVs don’t give off direct tailpipe emissions, all vehicles – including EVs – produce life-cycle emissions. Life-cycle emissions are the emissions that come from the production, distribution, use and disposal of a vehicle and its fuel. In gasoline cars, emissions are produced when petroleum is extracted from the ground, refined into gasoline, distributed to stations, and used in the car. 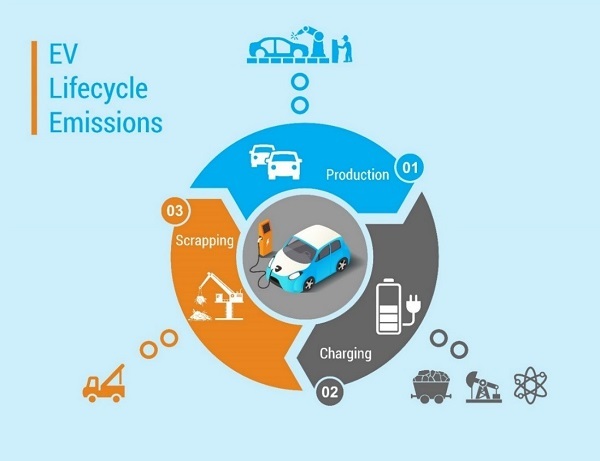 With EVs, lifecycle emissions may come from similar activities for the primary energy source (e.g., coal or natural gas) and from the electricity generation that turns that energy source into electricity. How much do EVs emit? EVs run on electricity, and most electricity generation produces emissions. How much depends on the mix of primary energy sources used to power the grid in the region where the EV is charged. Fortunately, as U.S. power plants switch from coal to cleaner-burning natural gas to generate electricity, GHG emissions have dropped. You can look up your state’s electricity mix on the U.S. Energy Information Administration’s website. Building EVs also requires more petrochemical-based plastics than gasoline-fueled cars. The International Energy Agency predicts these petrochemicals will account for almost half of the growth in global oil demand by 2050. What is Chevron’s take on EVs? We’re committed to reducing GHG emissions. From making our operations more energy efficient to improving our gasoline to enable greater engine performance and efficiency and reducing methane emissions at the well – we’re tackling emissions head on. We also see value in investing in different types of transportation and energy. That’s why Chevron is a substantial investor in ChargePoint Inc., one of the largest operators of electric-vehicle charging networks, with more than 57,000 charging locations across North America and Europe. We support an inclusive approach to reducing transportation emissions. By working to improve both existing technology like internal-combustion engines and new options like EVs, we can meet the diverse set of consumer transit, hauling and towing needs. IEA’s 2018 World Energy Outlook supports this, predicting that combining small improvements to existing technology over time and powering cars with electricity could displace more than 12 million barrels of oil per day by 2040, according to the New Policies Scenario (NPS). Bottom line: Chevron will continue to power the world forward, however consumers choose to travel. Feel inspired to share your new knowledge about EVs with your network? Click the sharing buttons to spread the word on your social media channels. Sign Up Today! As a token of our appreciation, we’re offering CAN members 10% off* any one apparel item at the Chevron Store. *Some exclusions apply. Code good for one-time use only on apparel items up to $150.00 at the Chevron Store online.